Tower Bridge is a world famous landmark in London. In 1998 it underwent a major modernisation program to update the operating equipment. The original bridge was opened in 1894 and was powered by coal-fired boilers with steam pumping engines. By this means, water pumped under pressure into six 100-ton accumulators. When the bridge was required to be raised, the accumulators delivered the stored energy to the lifting engine pistons situated in each of the four piers. In 1976 the steam powered system was replaced by hydraulic rams and an electrical hardwired control system. Over time, however, this control system became increasingly unreliable due to the equipment becoming obsolete and required a new electrical control system. Some of the bridge’s mechanical items, including the nose bolts, pawls and resting blocks, also needed to be upgraded. 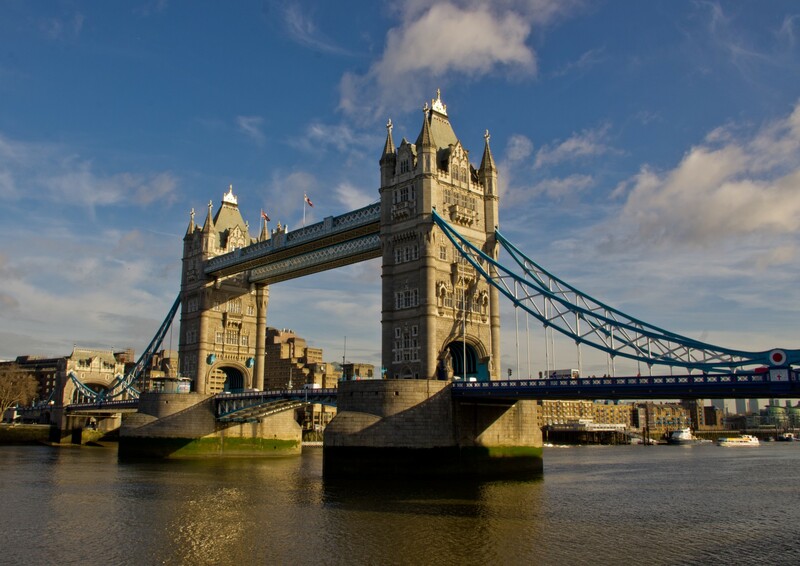 The newly installed system, fully designed and installed by Fairfields, guarantees the many thousands of people who use Tower Bridge daily a safe and reliable journey. Fairfields was asked to conduct a feasibility study initially to show how best to integrate a state of the art PLC/SCADA system into the existing electrical hydraulic and mechanical infrastructure. Fairfields proposal for a new electrical control system was accepted which incorporated a remote PLC input/output sub-system in each of the bridge machinery areas, with communication back to a Master PLC and all bridge equipment cabled back to a common point. The new control system used a central Rockwell Automation ControlLogix PLC situated in the north west pier machinery room. It communicates by means of fibre optic and coax cables to a remote PLC Flex input/output sub-system in each of the four piers, as well as to two control rooms and resting block areas under the bridge. Each control rooms houses the SCADA operator interface systems running under Rockwell’s RS View packages, which allows the bridge to be operated with full status alarms and condition monitoring facilities. Refurbished control desks also allow the operator to carry out bridge lifts using standard electrical control equipment wired back to the remote PLC I/O sub-systems in the control rooms. The biggest aspect of the mechanical upgrade was the introduction of ‘Active Resting Blocks’ that take the weight of the bridge off the main shaft and bearings. In order to achieve this, the resting blocks are automatically cycled to each bridge lift and are engaged in the down position so that the weight of each bascule is distributed evenly. Each resting block has load cells and duplicated analogue position transducers attached, which are used by the PLC to ensure equalised weight distribution and also for condition monitoring purposes.